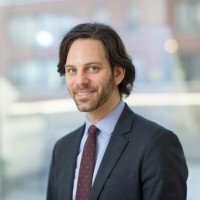 Using genetic engineering, Memorial Sloan Kettering Cancer Center (MSK) physician-scientist Christopher Klebanoff, MD, has led a team of researchers to create a “cloak” that protects cancer-fighting T white blood cells, such as chimeric antigen receptor T cells, from self-destructing. During cancer immunotherapy, immune cells often undergo a form of cellular suicide, termed apoptosis, which can limit the therapy’s effectiveness. The use of “genetic cloaking” prevents immune cell apoptosis, enhancing the effectiveness of cellular immunotherapies for liquid and solid cancers in mouse models. This new technique is also effective in protecting human cancer-fighting immune cells. These findings lay the groundwork for a potentially universal gene-engineering strategy to safely increase the potency of cellular immunotherapies for a broad range of cancers. Dr. Klebanoff and colleagues from the National Cancer Institute, the University of Pennsylvania, and the Medical University of South Carolina hypothesized that the disruption of pathways that impair T white blood cell survival might represent exploitable targets for improving outcomes following a form of cancer immunotherapy known as adoptive immunotherapy. The team of researchers analyzed gene expression data from many tumor types to identify the potentially actionable molecules in the tumor microenvironment that were capable of compromising the longevity of T cells following transfer into patients. The researchers found that the major pathway involved in apoptosis, the FasL/Fas pathway, is poised to be activated in many people receiving adoptive immunotherapy. Specifically, Dr. Klebanoff and his colleagues found that FASLG (the gene encoding the death-signaling ligand FasL) was overexpressed in 73 percent of the human tumor types evaluated. This overexpression was found to be highly correlated to the expression signatures of immune regulation and activation. Death-signaling (or apoptosis-inducing) ligands can cause immune cells to kill themselves, potentially resulting in poorer outcomes following adoptive immunotherapy treatments. Based on these findings, Dr. Klebanoff and colleagues went on to develop a series of decoy receptors, termed dominant negative receptors (DNRs), which wrap around T white blood cells to protect them from receiving the kill signal delivered by FasL — in effect, creating a genetic cloak. The Fas DNR–modified engineered T cells exhibited superior persistence in tumor-bearing animals, resulting in significantly improved cancer regression and survival in both solid and liquid cancer models. The researchers concluded that the Fas DNR–modified T cells can cloak both mouse and human T cells from FasL-induced cell death, providing a new method to protect adoptively transferred T cells in the human tumor microenvironment. Adoptive cell therapy (ACT) using genetically engineered T cells has entered the standard of care for individuals with refractory B cell malignancies. However, responses to ACT in patients with solid malignancies — collectively the leading cause of adult cancer-related deaths — have been comparatively modest. Additionally, relapse is increasingly being recognized as a major clinical challenge following ACT, despite initially high overall response rates. “T Cells Genetically Engineered to Overcome Death Signaling Enhance Adoptive Cancer Immunotherapy” was published in the Journal of Clinical Investigation on January 29, 2019. Christopher Klebanoff, MD, a medical oncologist and physician-scientist at Memorial Sloan Kettering Cancer Center and an investigator at the Parker Institute for Cancer Immunotherapy, served as the paper’s corresponding author. This work was supported by the Parker Institute for Cancer Immunotherapy, the Damon Runyon Cancer Research Foundation, William H. and Alice Goodwin and the Commonwealth Foundation for Cancer Research, the Center for Experimental Therapeutics at MSK, an MSK Core grant (P30 CA008748), and the National Institutes of Health Intramural Research Program of the National Cancer Institute, Center for Cancer Research, and National Institute of Arthritis and Musculoskeletal and Skin Diseases.